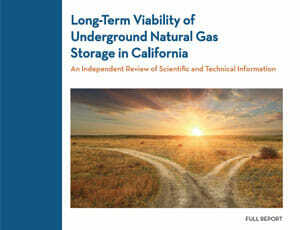 SACRAMENTO, Calif. – The California Council on Science and Technology (CCST) has issued the report, “Long-Term Viability of Underground Natural Gas Storage in California: An Independent Review of Scientific and Technical Information,” along with an executive summary and a summary report. All are available for download at this link. How implementation of California’s climate policies changes the future need for underground gas storage. Jens Birkholzer, PhD, Director of the Energy Geosciences Division at the U.S. Department of Energy’s Lawrence Berkeley National Laboratory, and Jane C.S. Long, PhD, an independent scientific consultant, served as co-chairs of the 12-member CCST Report Steering Committee – which supervised 21 Report Authors with expertise spanning hydrogeology and reservoir engineering, risk assessment, public and occupational health, greenhouse gas (GHG) emissions, and energy analysis and economics. 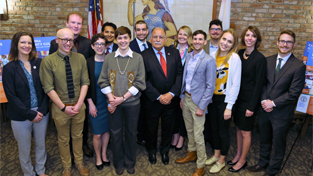 Each report chapter was subject to a peer-review process by independent experts, while another independent expert served as Report Monitor to oversee the process, ensuring that peer-review comments were sufficiently addressed in the final report. An additional Oversight Committee reviewed the entire process, including conflict-of-interest declarations. “The risks of underground gas storage can be mitigated through appropriate and sensible regulation. The new State regulations coming into effect this year will greatly reduce the likelihood of future gas storage well blowouts,” says Jens Birkholzer. Safety: The risks associated with underground natural gas storage (UGS) facilities can be managed, and, with appropriate regulation and safety management, may become comparable to risks in other types of energy facilities found acceptable in California, such as oil refineries and natural gas power plants. At each UGS facility, the State should ensure timely and thorough implementation of the new regulations coming into force in 2018 set by the California Department of Conservation’s Division of Oil, Gas, and Geothermal Resources (DOGGR). Those regulations emphasize new and safer well completions, risk and safety management plans, and requirements for well integrity testing and monitoring. The report recommends that the State go further and require more quantitative risk assessment activities, including consideration of human and organizational factors affecting risk. The State should also implement an independent and mandatory review program to evaluate the effectiveness of these new regulations and the rigor of their application in practice, with opportunity for public comment and public dissemination of the review results. Facility-by-Facility Evaluation: Any industrial operation involves some risk to health, safety, and environment. This report assessed various risk-related characteristics across UGS facilities in California, and found a small list of facilities had relatively higher risk compared to others. Reliability of Natural Gas Supply: California’s energy system currently requires natural gas and UGS facilities to run reliably, primarily because many residential and commercial buildings in California rely on natural gas for heating during the winter, and because natural gas provides electricity when solar and wind power are not available. The peak demand for natural gas during the winter currently exceeds the ability of pipelines to bring natural gas into the State of California, so natural gas must be stored during periods of low demand in order to have it available to meet peak demand. Near-Term Alternatives to Underground Gas Storage: Closing any or all UGS facilities in the near term would involve replacing UGS facilities with new pipelines or natural gas storage capacity, and require very large investments. Such new natural-gas-related infrastructure would bring its own risks and would further obligate the State to the use of natural gas for decades. The risks, costs, and benefits associated with alternatives to UGS storage should be evaluated accordingly. Long-Term Need for Underground Gas Storage: California’s climate policies in future decades could still necessitate the continued use of natural gas. Also, energy systems that meet the climate goals may require underground storage of natural gas, biogas, or hydrogen, as well as sequestration of carbon dioxide. The State should develop a more complete and integrated plan to understand how the role of natural gas might evolve; assess possible energy portfolios that both meet GHG emission constraints and achieve energy reliability; and consider the potential need for UGS facilities in the future. 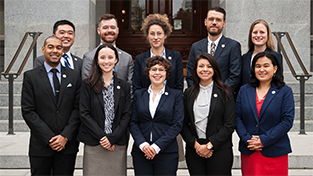 Modeled after the National Research Council, which responds to the United States government, CCST responds to requests from California’s State Legislature, the Governor, and State entities, and provides expert advice from California’s scientists and research institutions on public policy issues involving science and technology.